Based in Rockford, IL, J & J Innersteg Ultrasonic Blind Cleaning is your go-to source for all of your blind cleaning needs! We also provide cleaning services for specialty fabrics and more. 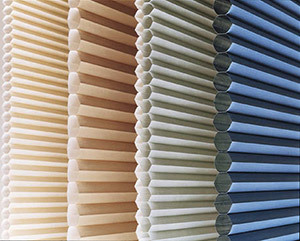 Place your trust in our expertise to keep your blinds clean and looking good! Founded in 1991, J & J Innersteg Ultrasonic Blind Cleaning has built a reputation for high-quality blind cleaning services based on 25 years of service to customers in the Rockford area. Cleaning blinds is one of the most thankless and difficult household chores, but we have made it our primary business and our specialty! Using hi-tech equipment and an expertise built over two and a half decades, we pledge to have your blinds and window treatments looking as clean and fresh as the day you purchased them. Best of all, you won’t have to put in the frustrating hours doing the cleaning yourself—trust an experienced blind cleaning company in Rockford, IL to do the work for you! We have 25 years of experience in cleaning blinds safely and efficiently. We use hi-tech equipment to ensure the deepest clean possible. We are dedicated to providing outstanding customer service and support. We serve customers across a wide geographic area near Rockford. To learn more about how you can benefit from our services, contact our blind cleaning company in Rockford, IL today. Call (815) 654-9580 for details! "My blinds in my rental were in good shape but dirty. I was really impressed with the results from Innersteg. They came on time both to pick ..."